Many herbs are easy to grow, and this is definitely true for peppermint. Square stems tend to run rampantly over and under soil. In small garden spaces, it’s best to tuck peppermint into a pot to curtail its wandering ways. Peppermint thrives alongside water gardens or in damp spots in the yard, but will also survive in drier soil. Lushest growth occurs in moist soil in partial shade. Crush fresh leaves into water for a refreshing beverage, or add to iced tea. You can also dry leaves for flavoring dishes or beverages and making desserts like meringues, cookies, or cakes. Pick leaves frequently. Plants open lavender blooms in late summer. Tolerates light frost. Almost everyone has heard of peppermint. That’s the flavoring they use in toothpaste and chewing gum, isn’t it? Yes, it is, but a peppermint planting in your home garden can offer you so much more. Learning how to grow peppermint is easy, but before we get into growing peppermint, let’s learn a little bit about the plant itself. Peppermint (Mentha x piperita) was first cultivated in 1750 near London, England as an experimental hybrid between watermint and spearmint. That you can now find naturally growing peppermint almost anywhere in the world is a testament not only to its adaptability, but as an indication of its medicinal qualities. Once our forefathers, or more likely foremothers, learned how to use the peppermint plant, it was taken with them everywhere they moved or visited where some, no doubt, was left behind with new friends. Although the care of peppermint is a little more involved than just sticking it in the ground, it certainly isn’t intricate. First and foremost, this plant needs lots of water and it is often found naturalized by streams and ponds where the soil is rich and the drainage is good. It won’t tolerate dry conditions. While partial sun is sufficient for peppermint, planting it in full sun will increase the potency of its OILS and medicinal qualities. 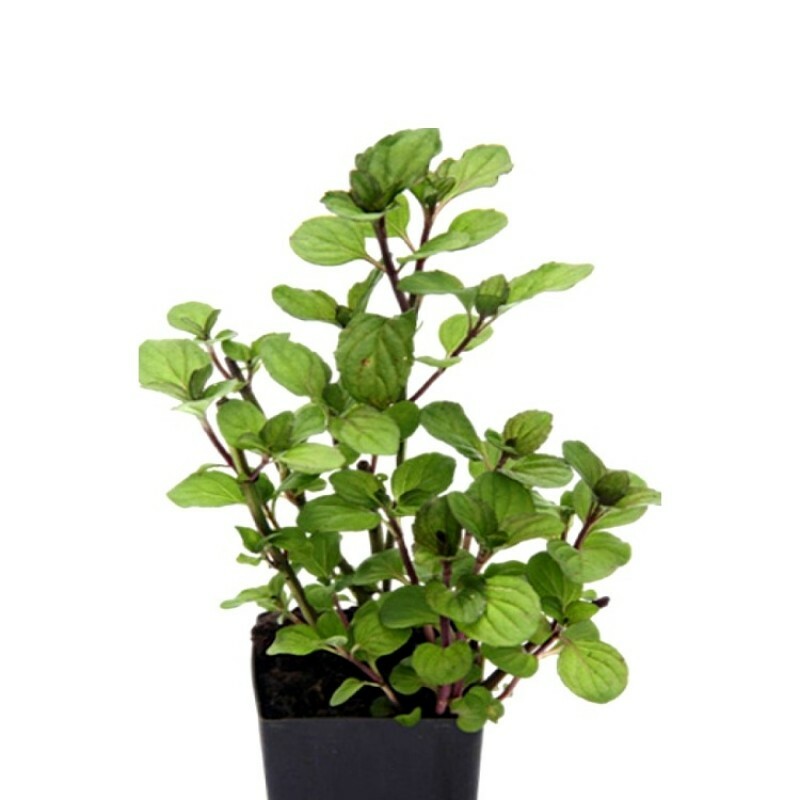 Though not as invasive as some of its mint relatives, no instructions on how to grow peppermint would be complete without mentioning its tendency to spread. Because of this, many gardeners prefer growing peppermint in containers. Others grow it in the ground with wood or plastic edging buried around the bed to prevent the spread of roots. Whatever method is chosen, good care of peppermint includes moving the plants to a new location every three or four years. They tend to weaken and become spindly if left in the same place for too long. There are two main cultivated varieties of this aromatic herb: black and white. Black peppermint has deep purple-green leaves and stems and a higher oil content. The white is actually light green and has a milder flavor. Either is adequate for growing peppermint at home. You can keep a peppermint planting simply for its delightful saw-toothed leaves and delicate flowers or for the spicy fragrance released when the leaves are crushed between your fingers. However, once you learn to use the peppermint plant for medicinal purposes, you may become an even greater fan. Digestion – Peppermint is good for indigestion and bloating. As a carminative herb, peppermint has the ability to expel gas from the stomach and intestines by relaxing the muscles involved. It has also been used to successfully treat IRRITABLE BOWEL SYNDROME (IBS). It should not, however, be used for the treatment of Gastrointestinal Reflux Disease (GERD) as it may further relax the muscles that prevent the backflow of stomach acid thus worsening the problem. Colds and Flu – Peppermint is a natural decongestant. One of the herb’s active ingredients is menthol, which thins mucus and will therefore loosen phlegm and reduce coughs. It is soothing to sore throats. Type II Diabetes – Test-tube results show that peppermint may aid in LOWERING BLOOD SUGAR and may prove helpful to mild or pre-diabetic patients. This comes with a word of warning. When combined with medication, it may result in Hypoglycemia (low blood sugar). Blood Pressure – Results are similar to those of blood sugar and the same cautions apply. It would be remiss if we failed to mention some concerns in health care of peppermint oils and extracts.